Most organisations still rely heavily on the job interview to identify the best candidate for vacant positions. However, a recent study by the Equality and Human Rights Commission (EHRC) showed many employers need more support to better understand the basics of discrimination law and, in particular, the rights of pregnant women and new mothers. In an interview with the BBC, EHRC chief executive Rebecca Hilsenrath said: “It is a depressing reality that, when it comes the rights of pregnant women and new mothers in the workplace, we are still living in the dark ages. In a poll for the Equality and Human Rights Commission (EHRC), 36% of employers thought it reasonable to ask a woman about her plans to have children. Some 59% agreed that a woman should have to disclose during the recruitment process whether she is pregnant. The commission said the poll of 1,106 male and female decision-makers showed worrying attitudes. Although it might seem obvious to avoid questions that may discriminate against pregnant women or new mothers, when trying to build a friendly rapport during an interview, it can be easy to innocently stray into ‘grey’ areas which may seem harmless but are in fact discriminatory, and therefore potentially illegal. Remember, the purpose of the interview is to identify whether a candidate has the behaviours, skills and experience for the job you are filling. 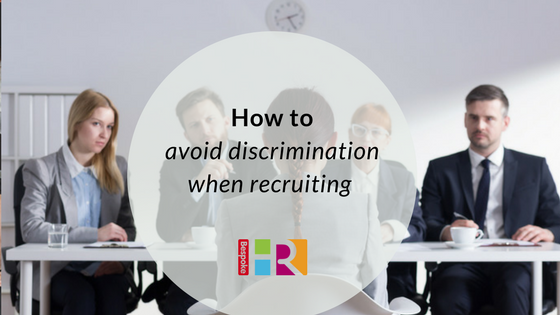 Whether or not you reached your decision to hire someone based on the candidate’s answer to a question about their intention to start a family or their childcare arrangements, you leave yourself open to discrimination claims if the decision does not go their way. How many children do you have? How old are your children? Do you have childcare arrangements in place if we need you to work out of hours? If you went on maternity leave, would you come back to work afterwards? When do you plan to get married? Will the hours of the job clash with your family commitments? This role may require some overtime from time to time, do you foresee that being a problem? Are you able to travel and stay away over night occasionally? This job may require some overtime work at short notice. Is this a problem for you? What days/hours are you available to work? What are your long term career goals? Work from a prepared list of interview questions – this will help keep the interview on track and by asking the same questions to each candidate it will ensure equal treatment of each candidate. Prepare questions that explore the actual behaviours, skills and experiences you have identified as essential for the position. Prioritise these and explore five to ten of them with the candidate. Consider introducing job-based exercises, occupational or ability tests, personality profiling or assessment centres to your selection processes. Together with a structured interview you will create a more objective process with better prediction of job performance. What if they volunteer information to questions you want to avoid? If a candidate offers information, such as, “I’ve just got married?” you can of course acknowledge this information but get the discussion back on track by asking a work-related question. The EHRC said its survey revealed antiquated beliefs, including two out of five employers saying women who have had more than one child while in the same job can be a “burden” to their team. We can offer advice on recruiting or employment law, get in touch for a chat.